I think thinking about this race and wanting to do as good as possible and being super mindful in what I am putting in my body really helped shaped my wants and desires in the junk food department. 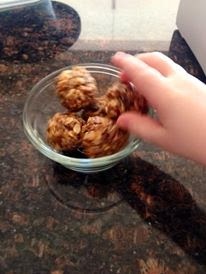 I am going to be making energy bites (see below for recipe and thanks to my friend Jenna who shared the recipe with me) for the trip down and for after the race and snacks during the week, if they last that long. I also noticed that I have been increasing my water intake this week too. I know I need to drink lots of water because I am pregnant but I feel like I am downing an extra 32 ounces a day right now on top of what I am already drinking. (I try to drink around 100-120 ounces of water a day.) Just a habit I got into a couple of years ago! One thing that I need to do better though, is the sleep department. I haven't be resting during the day, too many things to do! And night sleeping is getting more and more difficult. I feel like I am flopping around like a fish out of water just tossing and turning all night long trying to get comfortable. I see lots of falling asleep to HypnoBirthing in my future. I tend to get a deeper sleep and don't toss and turn when listening to it! 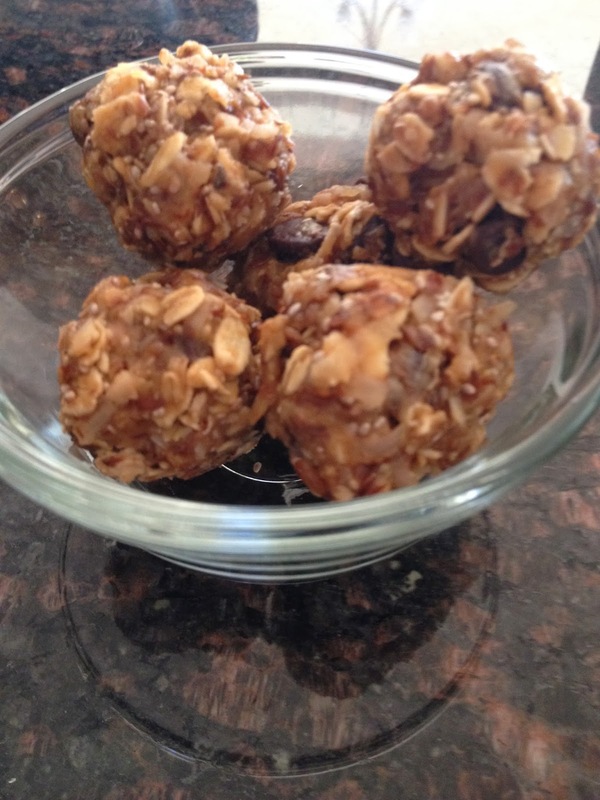 You can add any nuts or chopped dried fruit and berries that you think would taste good. Mix all the ingredients together in a bowl until it looks like a evenly distributed uniformed dough. Roll the dough into 1 1/2 inch balls. Stick in the fridge to harden and store in a air tight container in the fridge.